The Tahiti Pearl Regatta continues to draw sailors to the most beautiful waters in the world every year, and Multihull Solutions is proud to be a sponsor of the 2019 event again this year. Created in 2004, the “TPR” has become an international event attracting crews from around the region and across the world to participate in an extraordinary sailing experience. 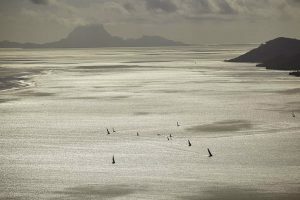 The 16th Tahiti Pearl Regatta will take place from 3-7 May 2019 between the islands of Raiatea, Bora Bora, Huahine and Taha’a. The TPR is open to any type of sailboat without size limitation (monohull, catamaran, trimaran, private sailboat, charter, transPacific stopover, sailing canoes, boats followers) and is governed by WS race rules. This format allows participation of both passionate sailors and sailors starting in the world of sport sailing. 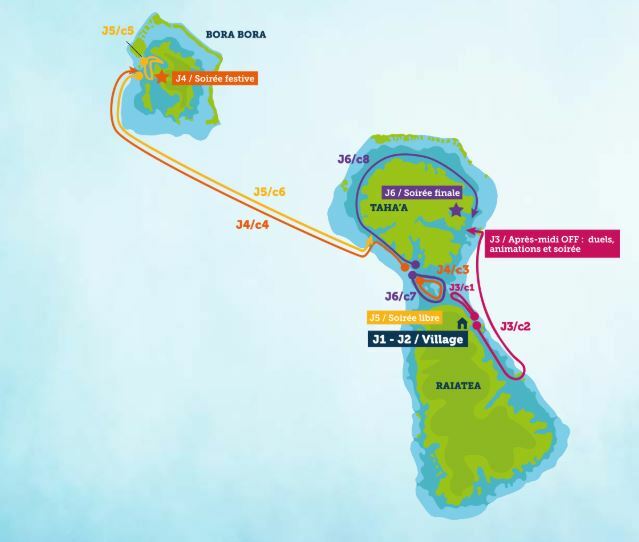 After two days of festivities at the TPR Village in Uturoa, participants will compete on a course composed of 8 stages, including two inter-island crossings between Raiatea and Bora Bora, 4 “banana” in lagoon, a long coast east of Raiatea and the famous “Tahitian Pearl Race” around Taha’a. Three theme nights will punctuate the competition. The Tahiti Pearl Regatta follows an inter-island route and stops every evening in a new destination. This program allows participants to discover the incredible variety of the Leeward Islands and attend theme nights in an ever-changing setting. The Tahiti Pearl Regatta is renowned for its festive dimension: the program a race village, tournaments between crews, traditional dance shows and fire jugglers, costume parties on the beach or motu.